A well-placed aviary, such as the striking Pinnacle, makes a statement, even as it gives the room a warm, lived-in feel. With full-door viewing your residents won't miss a moment of the activity. Above the beveled corners, breathing and sound ports allow the gentle song of spring to fill your space year round. Our lights replicate natural sunlight. With our automated light system, the birds will always have the perfect amount of light to live their lives. 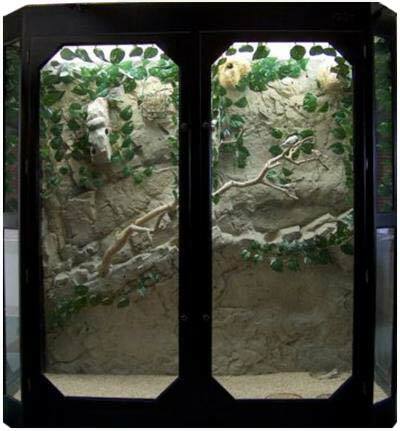 The beautiful rock back gives a natural look to this stunning aviary.